Trips for adventure women travelers to visit Nepal Himalayas ! Are you a woman who loves to have outdoors adventures – We offer all kind of travel, tour or trekking package for all kind of individual or groups of women during their stay in Nepal, Tibet, India, and Bhutan. Whatever your reason for traveling solo as a female, you need never feel lonely or vulnerable again as a traveler with us. 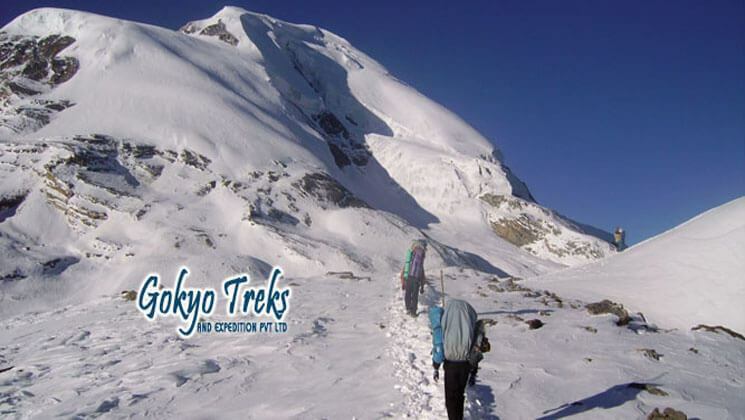 We at Gokyo Treks and Expedition agency arrange for you an excellent and personalized service. We carefully plan together with you and supply you with all the information necessary for your safety, comfort, and enjoyment. Our goal is to fulfill your dreams! An adventure is anything you want it to be! We strive to create an atmosphere where women feel comfortable being who they are, and where everyone enjoys sharing their similarities and celebrating their differences. As we have been organizing various short and long trekking tours and peak climbing in Nepal focusing especially for adventure trip for women since 2005. Our group tours for women attract fun loving women, with an adventurous spirit and a love for the outdoors. Guests tend to share a common interest and are open to new people and ideas. As you are traveling adventurous destination, with your wishing friendly guide then we can arrange for you accordingly to make your holiday safe and wonderful. Our guests are women mostly 18 to 85 from all over the world. Some are single, others are married but enjoying a separate vacation. Many women come alone; some come with their sister, mother, daughter or friends and enjoy their vacation with us. Traveling with other women is the perfect way to share a wonderful and rewarding experience which spills into the rest of your life, you will return home refreshed and your friends will be jealous at how wonderful you look you will hold your memories long after your return.